The Confucius Institute held the annual Newcastle China Week festivities on 21st September to 23rd September 2018 based on a theme of ‘Innovation and Entrepreneurship’ and a celebration of the Mid-Autumn Festival. The China Week festival was an unprecedented success with over 30,000 attendees during the three-day event. The China Business Forum was held at NeW Space on Friday, 21st September participated by high calibre speakers such as Alibaba Group (Australia and New Zealand), Westpac, Port of Newcastle, Invest HK of Hong Kong Government, The University of Newcastle, and Asialink. The Saturday Hawker Food Night Market was held at twilight at Gregson Park in Hamilton, showcasing a myriad of local vendors offering Asian inspired culinary delights. Patrons were treated to a spectacular fire performance and interactive stilt walking characters under the illuminated full moon structure. 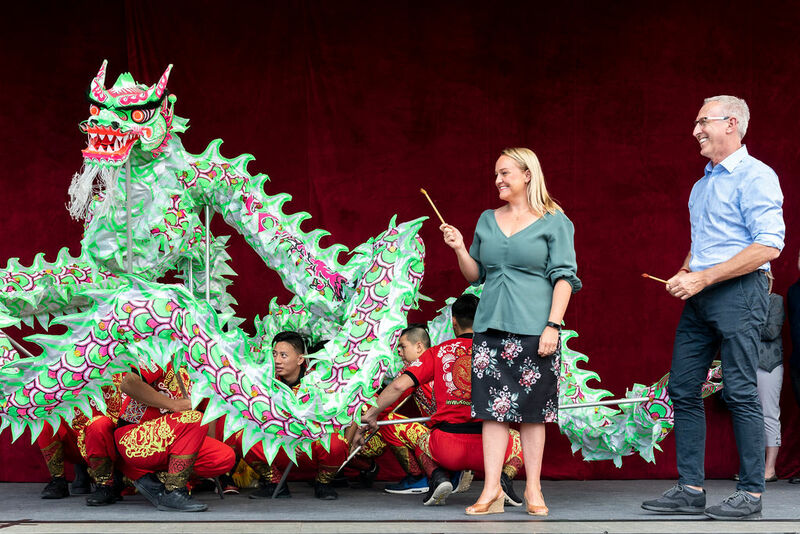 The Sunday China Cultural Street Festival on Beaumont Street was opened by Nuatali Nelmes, Lord Mayor of Newcastle and Professor Kevin Hall, Senior Deputy Vice Chancellor and Vice President - Global Engagement and Partnerships of the University of Newcastle. The Jin Wu Koon Dragon & Lion Dance Association treated the crowd to an amazing showcase of dancing on poles as well as the prestigious performances direct from China by the Beijing Dance Academy. The 2018 Newcastle China Week Cultural Festival opened by Nuatali Nelmes, Lord Mayor of Newcastle and Professor Kevin Hall, Senior Deputy Vice Chancellor and Vice President - Global Engagement and Partnerships, University of Newcastle. 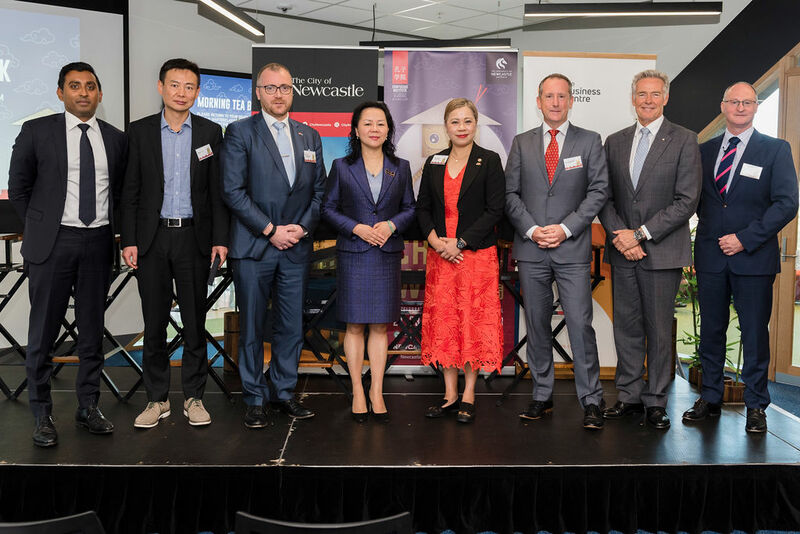 The 2018 Newcastle China Week Business Forum Panel and MC with Cher Jones, Director, Institution Relations, Greater China. The Business Forum provided insights by industry leaders in exploring themes such as the internet of things, creative industries, smart cities, artificial intelligence and medtech to promote industry-led innovation. The forum attracted high calibre speakers from Westpac, Invest HK of Hong Kong Government, The University of Newcastle, Asia Link and The Port of Newcastle and was attended by over 100 people comprising local and international businesses, government agencies, academia, students and community groups. The Masterclass session was run by The Business Centre and provided a platform of engagement between sectors that have interests in China collaboration and exploring market access. The University of Newcastle’s 2018 Ma & Morley Scholars James O’Sullivan and Phoebe McIlwraith were joined by CEO of Elite Robotics Sahil Harriram and St Phillip’s Christian College student Kenyon McMahon as panellists to explore the experiences of these young innovative individuals in their entrepreneurial journey and their involvement in building and sustaining relationships in China. 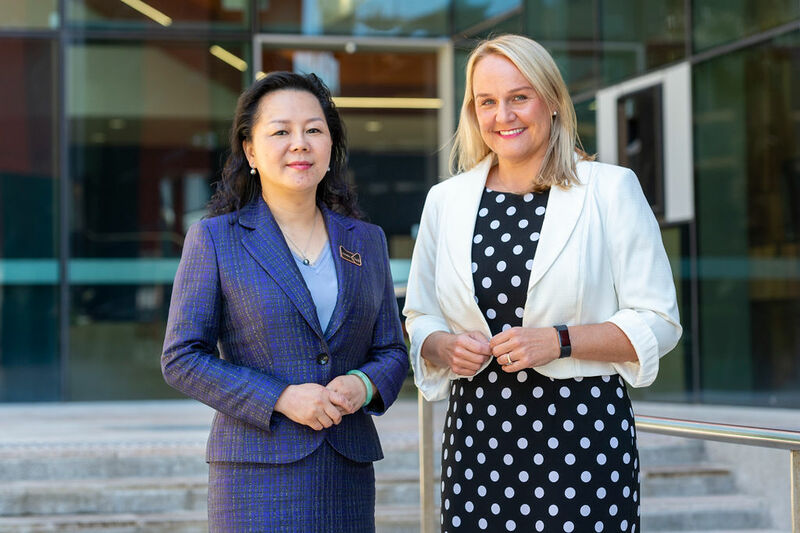 Keynote speaker Maggie Zhou, Managing Director, Alibaba Group (Australia and New Zealand) with Nuatali Nelmes, Lord Mayor of Newcastle at the 2018 China Week Business Forum. Local vendors and families celebrating the mid-autumn festival at Gregson Park. 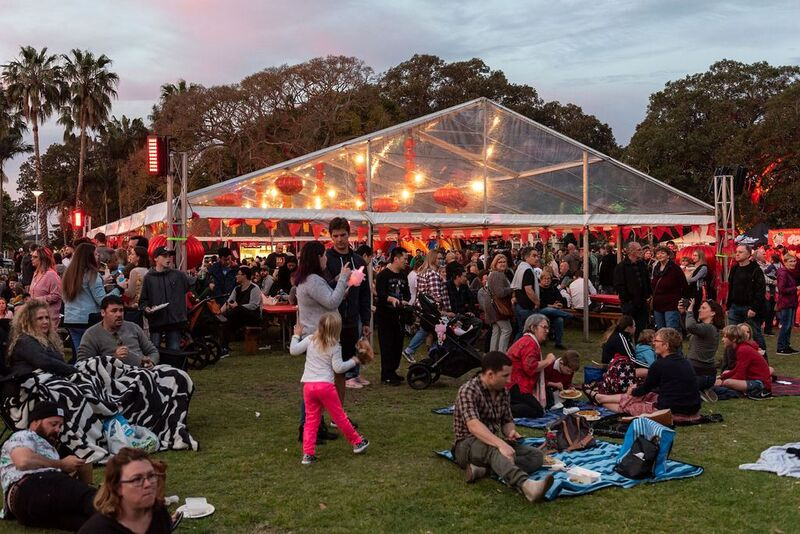 Hamilton’s Gregson Park was transformed into a Hawker-style Night Food Market with Chinese, Thai, Vietnamese, Korean, Malaysian and fusion food-inspired vans offering everything from yum cha and dumplings to light bulb soda and grilled sweet pastry cones filled with ice-cream. 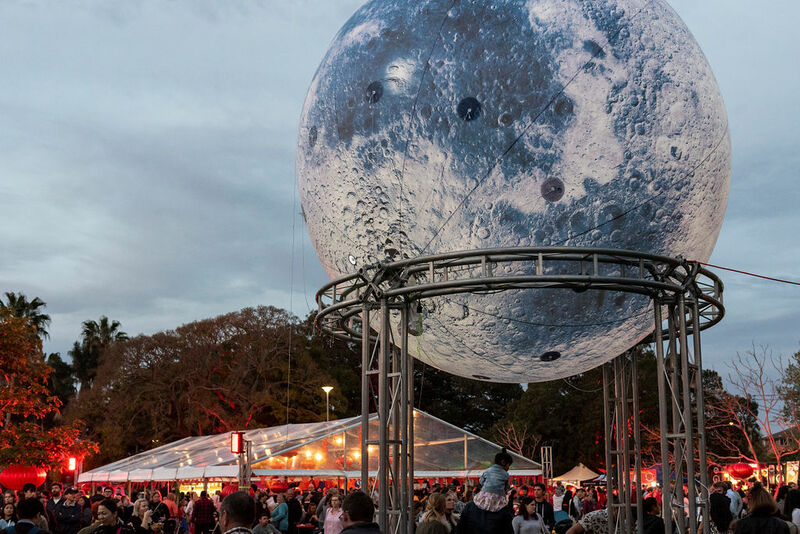 Along with music from an international DJ, there was also roving Moon & Stars themed entertainment and a thrilling fire show under an illuminated full moon installation. It was a record breaking massive crowd this year at Gregson Park. Hundreds of attendees gathered under the illuminated full moon structure. Jonathan Yi, Chinese Director, Confucius Institute, with the Beijing Dance Academy. The spectacular China Street Festival finale made its return to Beaumont Street, Hamilton. The Festival could not be complete without the thrilling lion dancing and acrobatics on 3m high poles. The renowned Beijing Dance Academy from China was the highlight of this year! 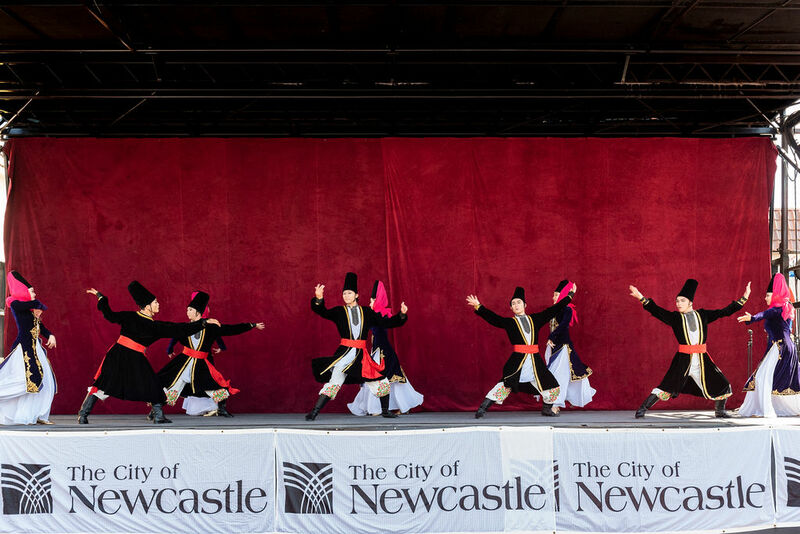 The dance group made a visit to Newcastle for the first time and gave very special performances at the Festival. 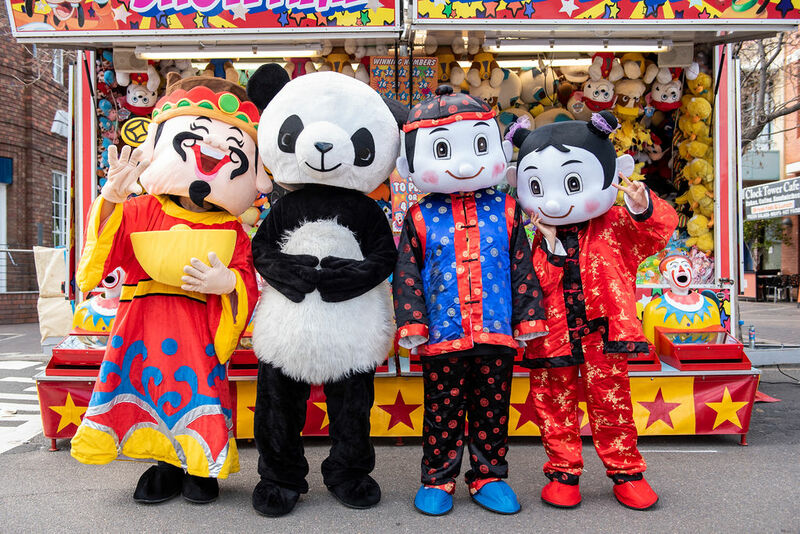 Punters could snap a selfie with the 8m golden dragon, a friendly panda or giant inflatable mooncake in celebration of the Mid-Autumn Festival. Beijing Dance Academy put on a magical display at the China Cultural Street Festival. 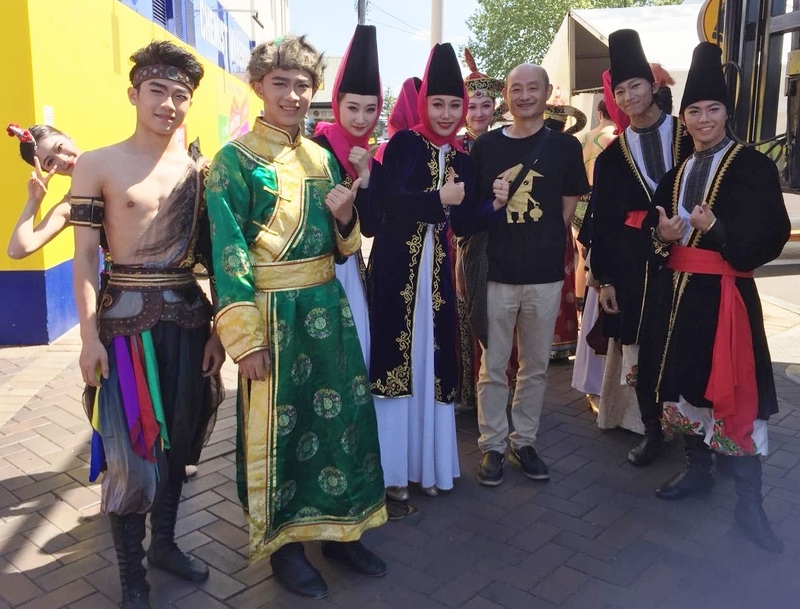 Volunteers from the Australia China Youth Association (ACYA) at the China Cultural Street Festival. The event was made possible due to the strong support of major sponsors Confucius Institute Headquarters (Hanban), University of Newcastle, Confucius Institute, Newcastle City Council, Hamilton Chamber of Commerce, Port of Newcastle, The Kent Hotel, Invest Hong Kong, The Bennett Hotel, Ausfeng’s The Legend of Dunhuang and The Northern Star Hotel.